This is a post by Kevin Klinkenberg, an experienced planner and owner of the New Urbanism Blog, where this piece will be cross-posted. Look for more of Kevin’s posts here at Savannah Unplugged in the near future. I can’t tell you how many plans I’ve read where a city used language to tout itself something akin to “The New American City” or “America’s 21st Century City.” It’s in the nature of our country that cities pair civic boosterism with a faith in the future. The result is that cities spend a lot of time trying to stake claims that they’re THE place to be now and in the future. Of course, most of the time this is just bluster. At the same time, older historic cities such as Savannah spend a great deal of their energy emphasizing their past. And, rightfully so. It’s an old story by now that Savannah has one of the best-planned and most beautiful historic districts in America. Oglethorpe’s plan for the city and the Georgia colony is remarkable for its depth of thought and its execution. Anyone who has an interest in planning and hasn’t read Thomas Wilson’s The Oglethorpe Plan should go out and buy it right now (at a local bookstore preferably). But while the story of Savannah’s past is well-known, what about its present and future? Is Savannah a model for what American cities should aspire to become today and for the near future? And by that I mean not only the landmark historic district, but also the southside, the islands and all of the surrounding area. Sticking strictly to issues of urban planning and design, I propose that Savannah is absolutely a model for the rest of the country for two reasons that are key to issues of our time. To anyone who observes these things, it’s clear that we essentially have two broad choices for living in cities in America. People can choose to live somewhere where walking, biking or taking public transportation is a daily part of life, which we generally call urban; or people can choose to live somewhere where life is centered around driving, which we generally call suburbia. Put very simply, those are the two different systems or lifestyles at our disposal, excluding a rural or agricultural life. Since the overwhelming majority of development since the 1940’s has been oriented to driving, most cities have far more landscape devoted to suburbia than to urbanity. While this push was originally driven by the emergence of the car, and the desire for a more “modern” lifestyle, like all things it was taken to extremes far beyond its original intent. Here’s what we’ve learned in the last twenty years or so in a nutshell: the market demand for suburbia has been vastly overstated, and the market for urbanity has been drastically under-served. Far more people want a comfortable, beautiful place to live where they can walk and bike than what planners and developers realized. This is not to say that people don’t want suburbia. In fact, many people still prefer it. But it’s clear by now that the choice to live in a walkable place isn’t old-fashioned or outmoded: it’s a rational lifestyle preference. In a big-picture sense then, Savannah is a model for the current reality because it provides meaningful choices. For those who prefer urbanity, the city has a first-class collection of walkable neighborhoods. They contain everything necessary for success: a robust street grid, abundant and well-placed public spaces, a wide mix of housing options and remarkable beauty. And importantly, it’s sizable enough to provide a complete lifestyle. At the same time, the region has a vast collection of suburban areas that act almost as their own ecosystem. For those who wish to spend their weekends driving to Home Depot or the Mall and fighting traffic, that opportunity exists in abundance. Sorry – can’t resist a little snarkiness. The stark differences between everything north and south of DeRenne, as well as the Islands, show not an unhealthy juxtaposition but rather the opposite: two systems living side-by-side in one community, with a little something for everyone. Each system of course has room for improvement, but that’s a subject for future pieces. The broader point is that American cities need to provide for both lifestyle options. If you have nearly all suburbia and very little urban, you’d better focus on making the urban as good as it can be since a sizable percentage of the population wants it. That’s actually the task for more cities than not in 2013. But by the same token, let’s not throw the baby out with the bathwater if you’re a city that has a good mix of both urban and suburban. Until we completely run out of cheap energy and/or can’t afford the infrastructure cost, there will be a strong market for suburbia. Let’s embrace it for what it is and make it as good as it can be. It does feel these days that we’re finally clear of the depths of the real estate recession that began in 2007. Building activity is up, banks are lending again, and home building is surging. That said, the reality of life after the bubble burst is that we’re likely not to see lending or projects of the scale that dominated real estate from the 1980’s through the 2000’s. The dominant mode of building for a number of years will be smaller-scale projects and very modest amounts of speculative construction. That’s not all bad; in fact, in my mind it’s a wiser approach for everyone to take in the industry. What does that mean for cities and the world of development? It means we’ll see far more projects that build on a couple of lots rather than an entire block; it means the giant master-planned projects which made cities drool will be few and far between; and it means cities that have simple street grids, modern zoning codes and a flexible platting system will be prepared for success. Again, in that arena Savannah has much to teach America. 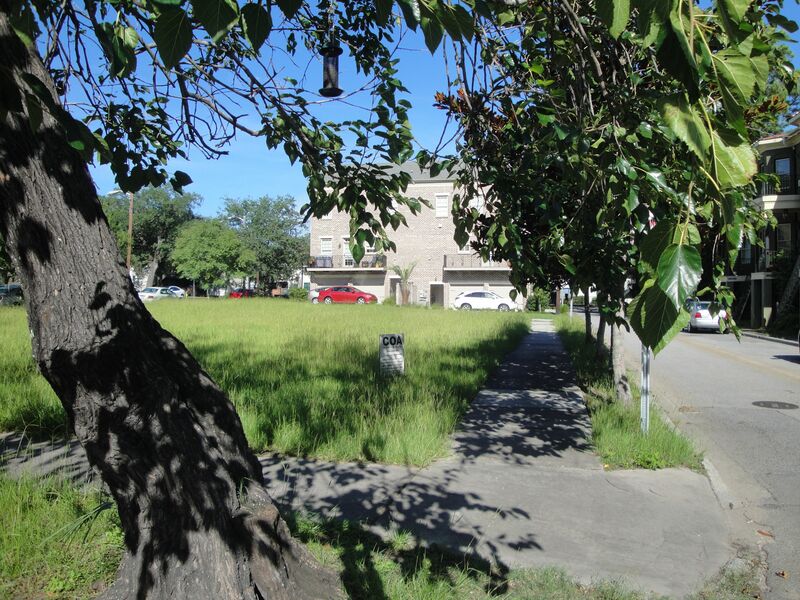 In case you hadn’t noticed, there’s a mini-boom of redevelopment projects occurring all over the historic neighborhoods of the city. 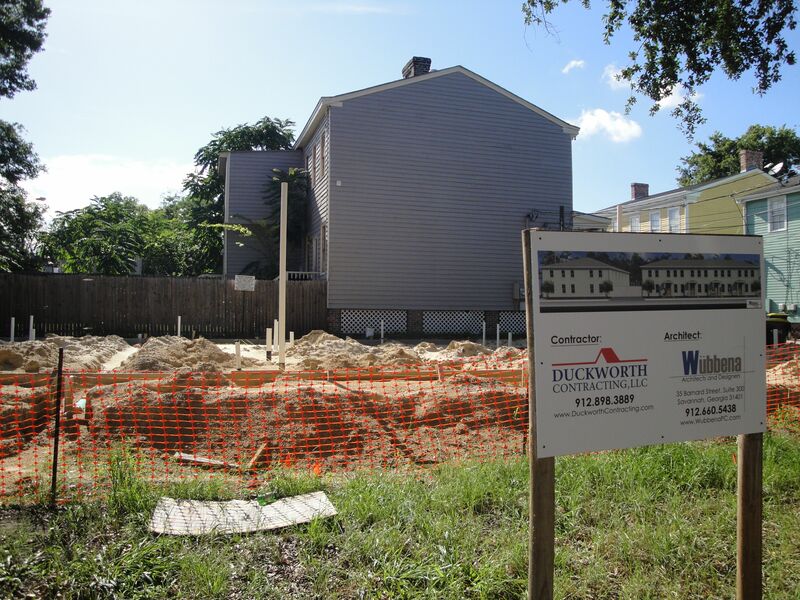 It seems each week I notice another new sign or another new foundation for more townhomes, homes or apartments. But instead of 200 apartments all being built at once on one site, they’re scattered on numerous sites at intervals of 3, 4, or 5 homes. While General Oglethorpe could never have truly imagined what Savannah would grow into, he put in a place a framework that has allowed its constant change and growth. The system of public spaces, streets and lots creates a virtually idyllic system for small-scale development and redevelopment. That system worked well in the city’s 19th century boom periods, and it’s working well again in the 21st century. It’s even a key element to how the Savannah River Landing site was designed, and I imagine we’ll see a gradual development of it over the years. The approach of creating a thoughtful plan and planning for quality, incremental growth is likely to be the norm in outlying areas as well. Finally, I can’t resist a final note on the system that Oglethorpe put in place, and its relevance to the rest of America. The size of a ward in Savannah is typically 675’x675’, or about 10.5 acres. Following adoption of the National Land Ordinance of 1785 we put in place a gridded system of sections starting in Ohio that was based on the mile grid. 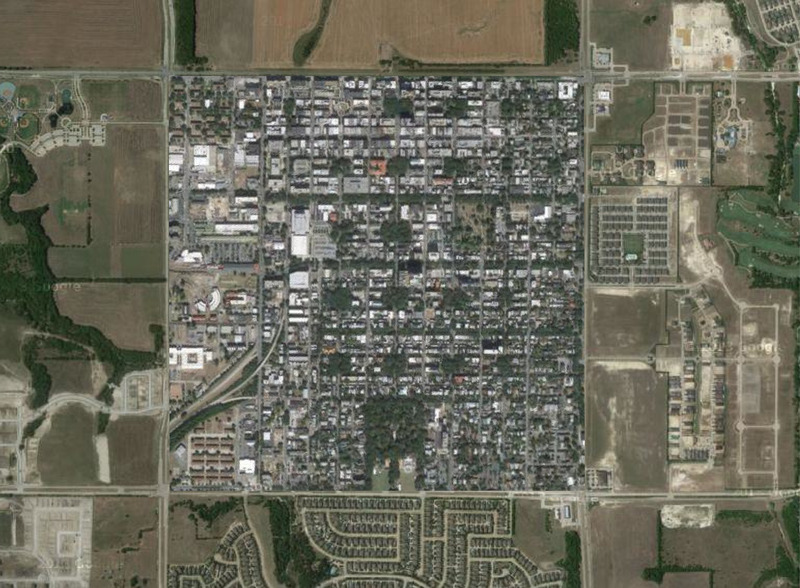 The infamous quarter-section of development that became ubiquitous across the west is 160 acres, or ¼ mile by 1 mile. That was very often subdivided into blocks of 660’x660’, or even 660’x320’. 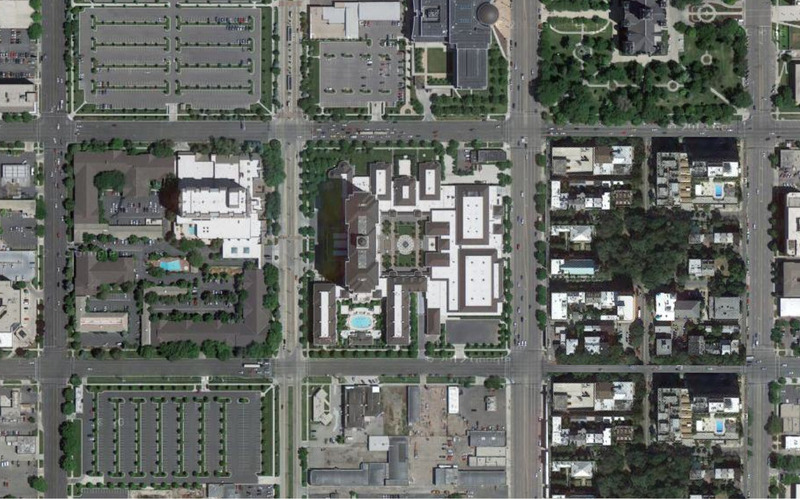 The 10 acre square block of 660’ is often known as the Mormon block in Utah, Idaho and other western states. It was used as the foundation for over 700 towns across the west. Shaving just a few feet of street ROW out of Oglethorpe’s ward model makes it fit very neatly in that standard western American block size. If there’s a better model for how to design and build a livable 10 acres, I sure haven’t seen it (and believe me I’ve looked). Savannah from Gwinnett to Bay laid over the typical mile-square grid. This particular version is north of Dallas. A Savannah ward over the Salt Lake City grid (the 10 acre blocks) from Gwinnett to Bay laid over the typical mile-square grid. Read more by and about Kevin Klinkenberg at the New Urbanism Blog and/or follow him on Twitter.